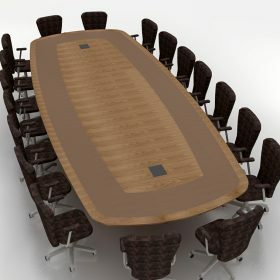 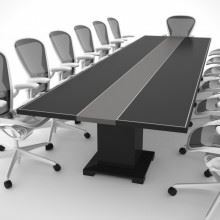 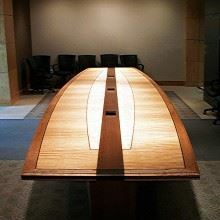 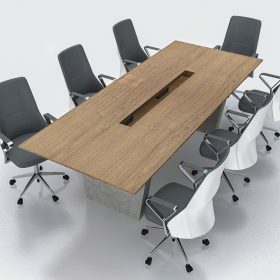 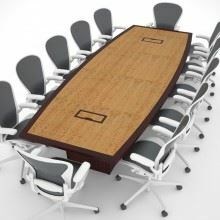 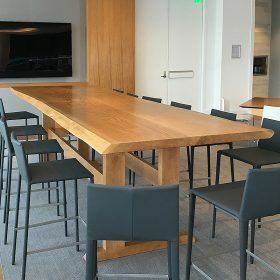 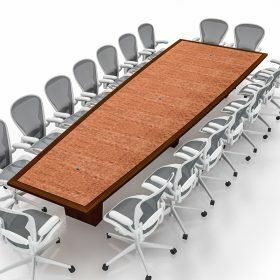 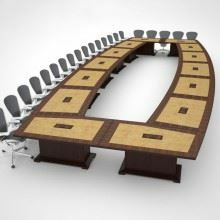 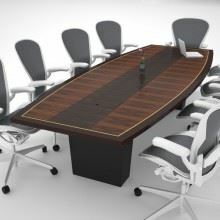 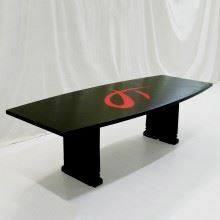 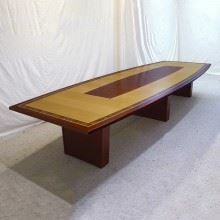 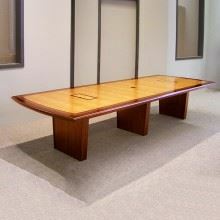 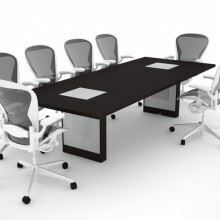 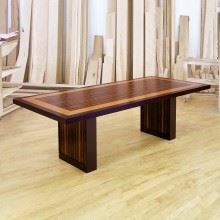 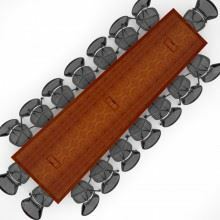 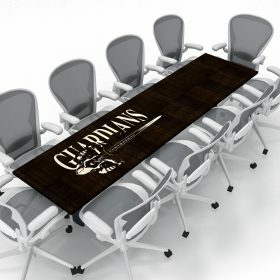 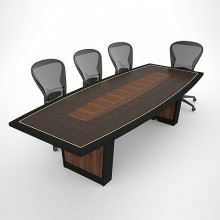 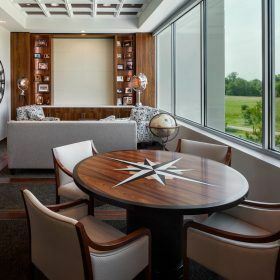 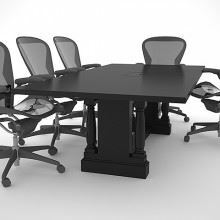 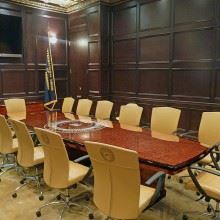 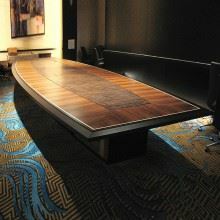 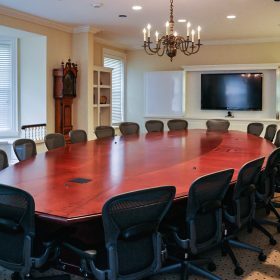 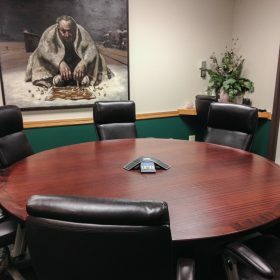 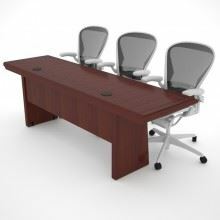 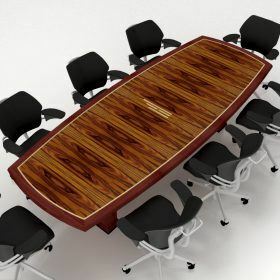 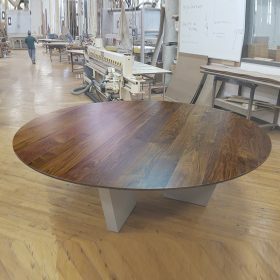 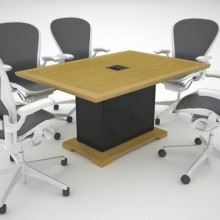 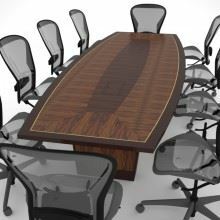 If you’re looking to make a statement with a unique conference table, let us help you craft one that incorporates Ebony wood. 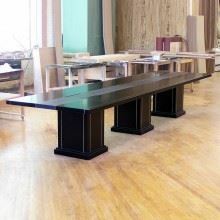 The Ebony wood from Paul Downs is a beautiful, black-colored wood that can be used as a trim, a complementary inlay, or even as your main table top to provide a rich look. 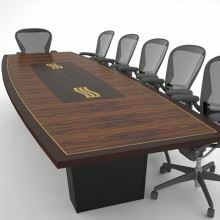 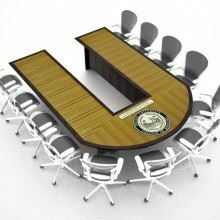 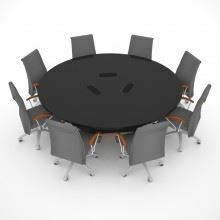 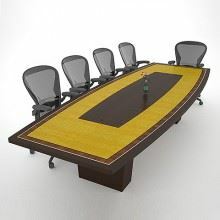 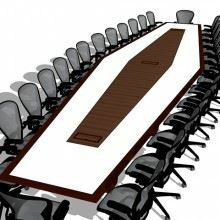 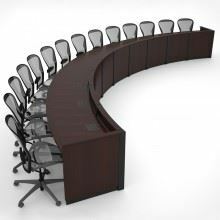 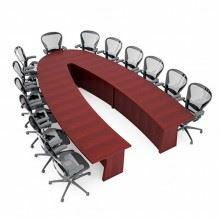 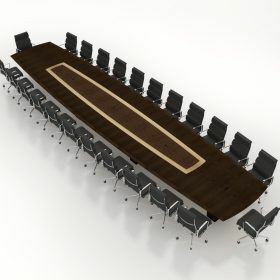 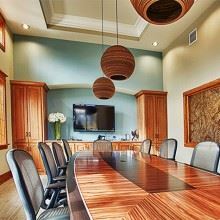 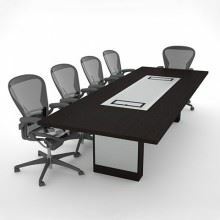 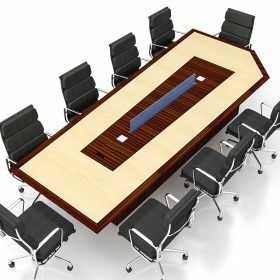 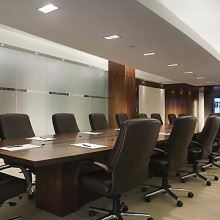 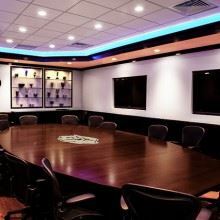 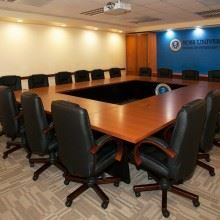 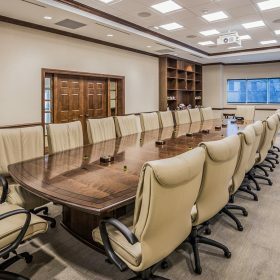 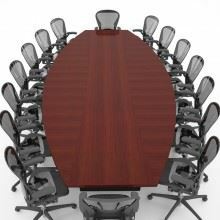 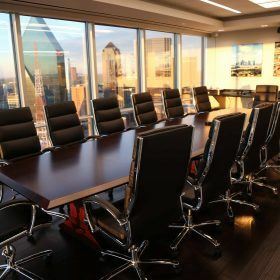 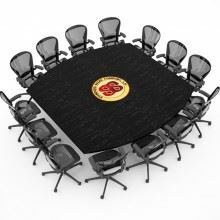 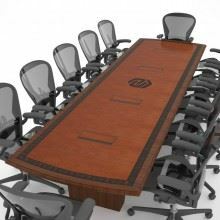 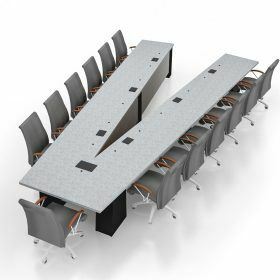 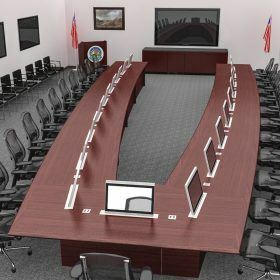 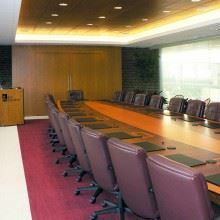 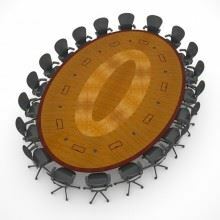 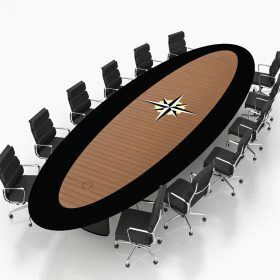 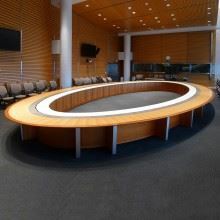 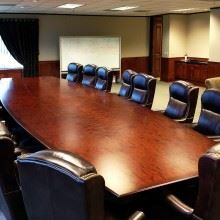 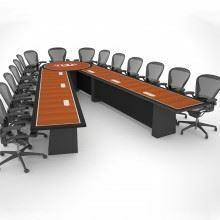 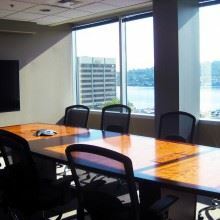 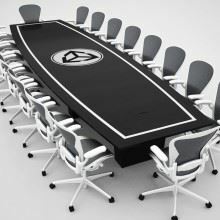 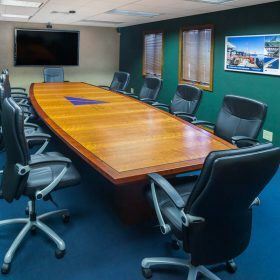 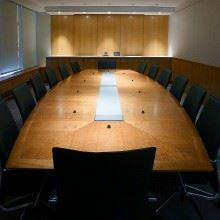 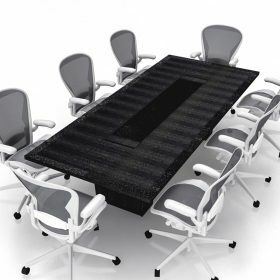 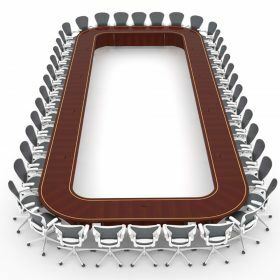 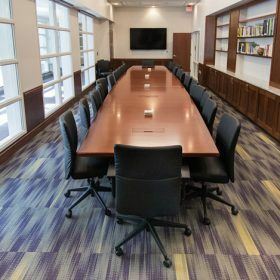 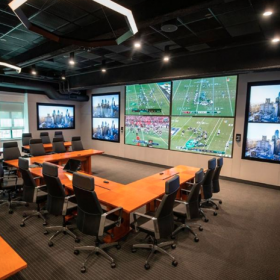 We can create our Ebony conference tables in any size and virtually any shape in order to fit your conference room space and style. 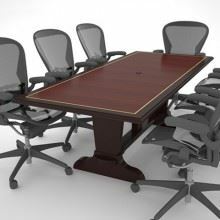 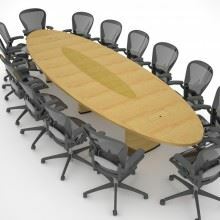 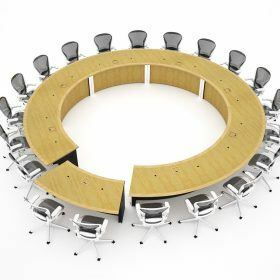 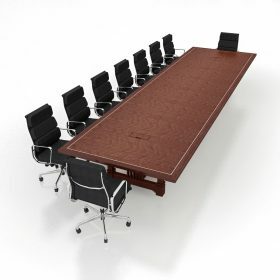 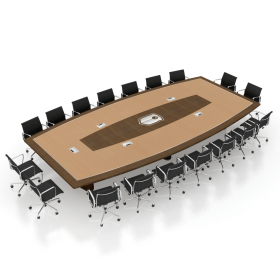 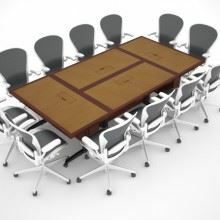 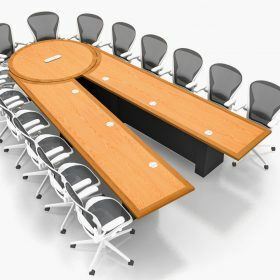 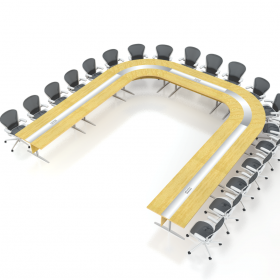 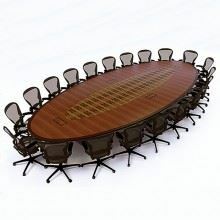 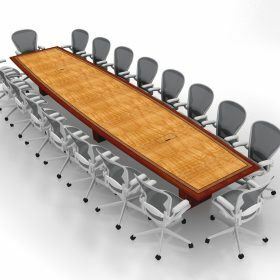 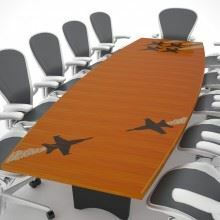 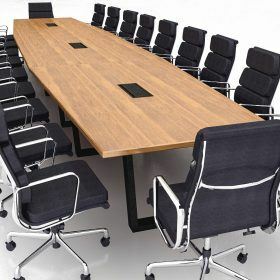 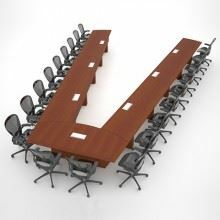 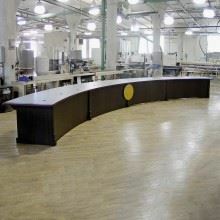 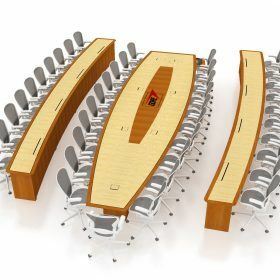 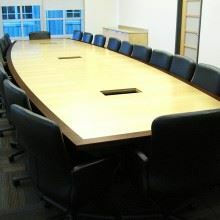 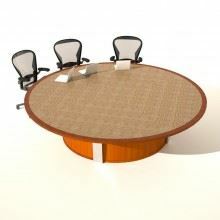 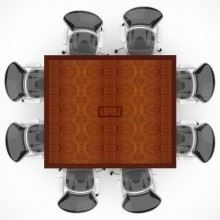 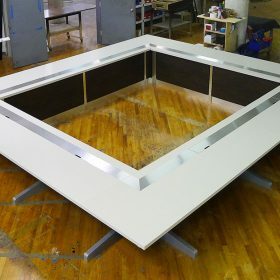 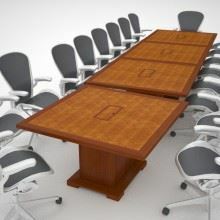 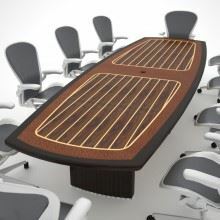 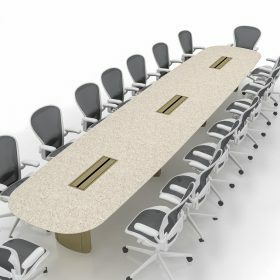 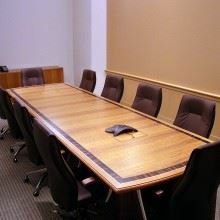 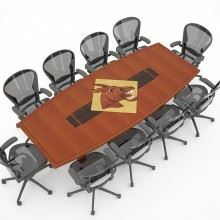 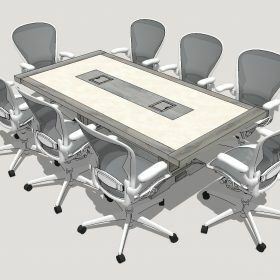 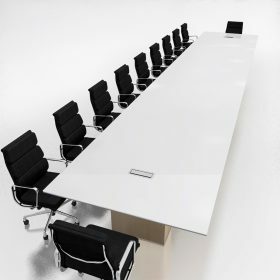 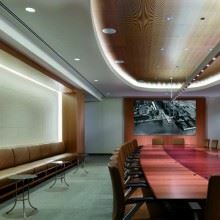 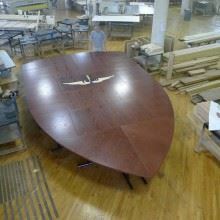 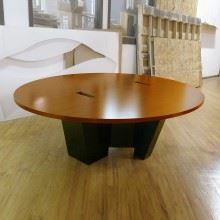 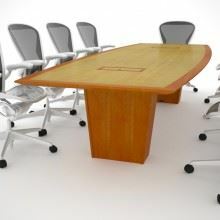 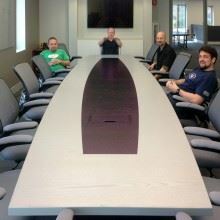 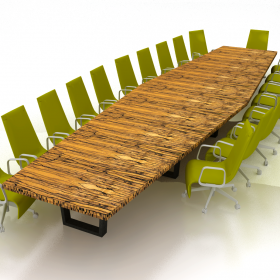 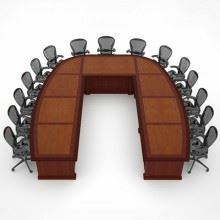 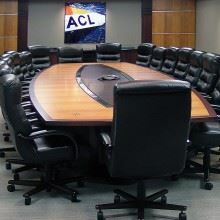 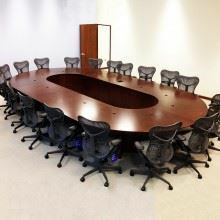 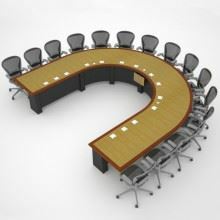 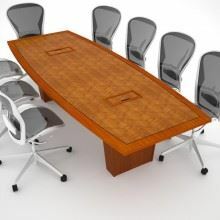 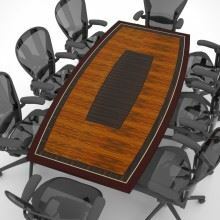 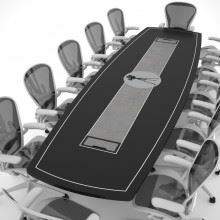 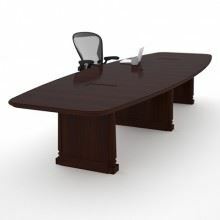 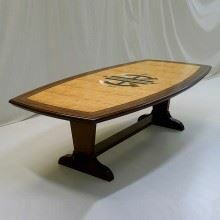 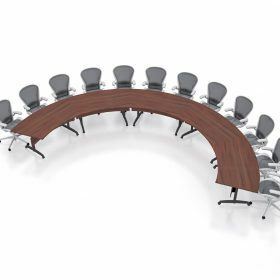 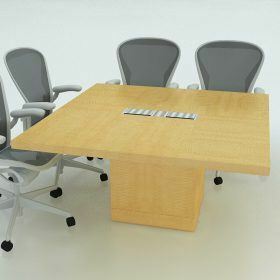 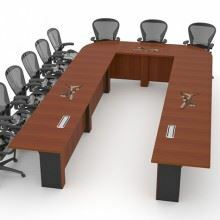 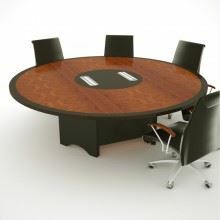 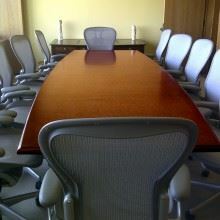 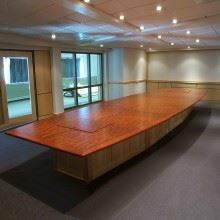 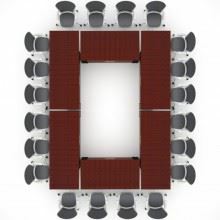 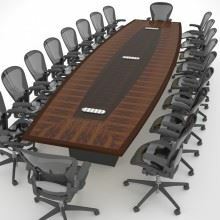 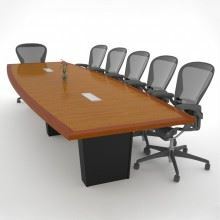 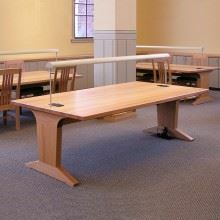 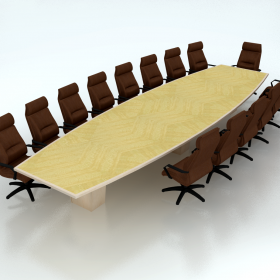 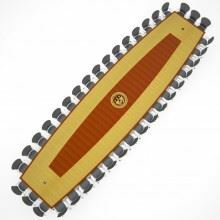 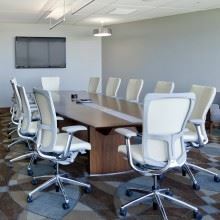 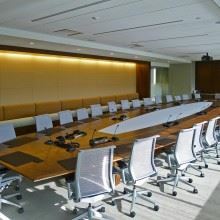 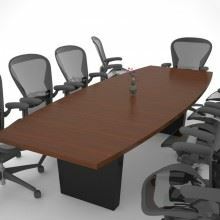 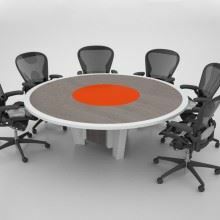 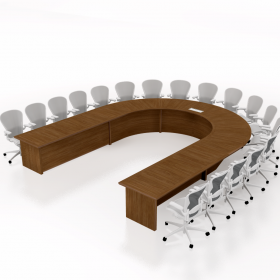 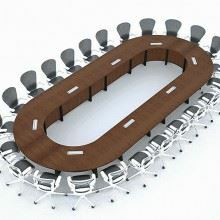 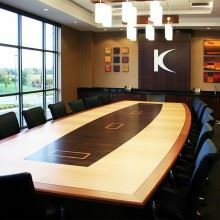 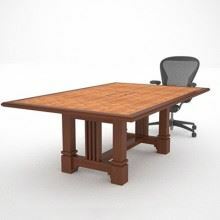 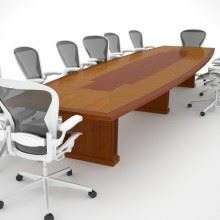 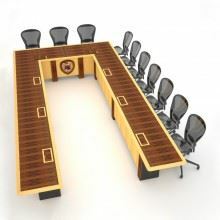 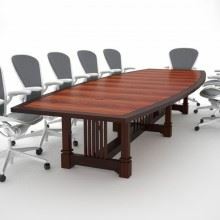 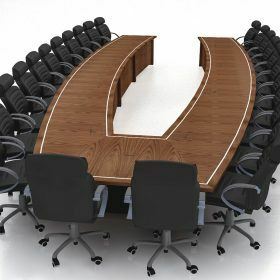 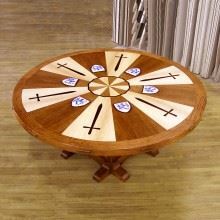 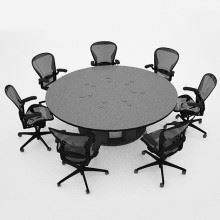 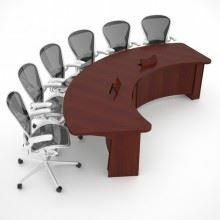 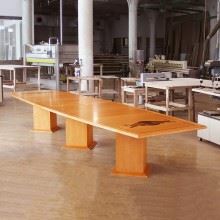 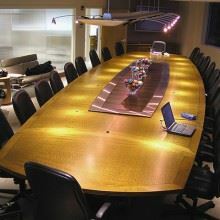 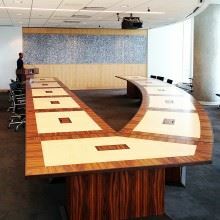 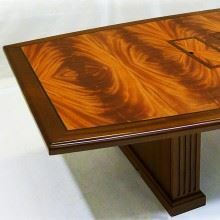 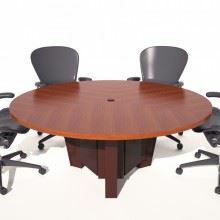 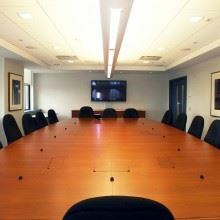 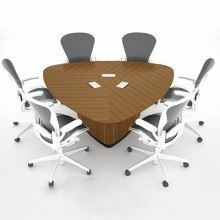 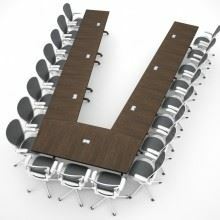 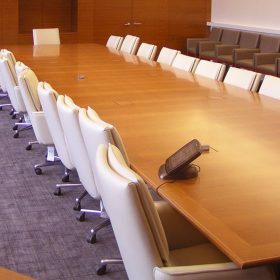 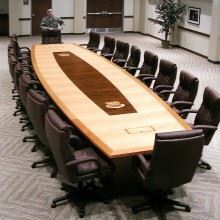 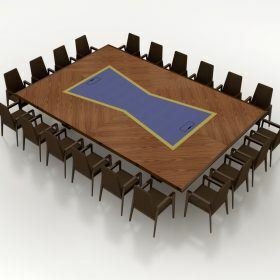 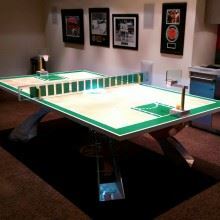 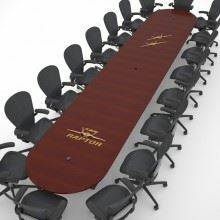 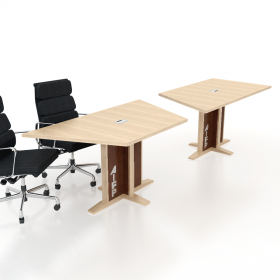 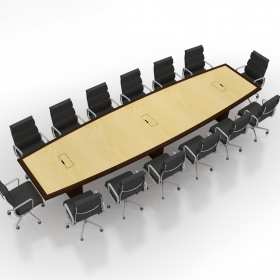 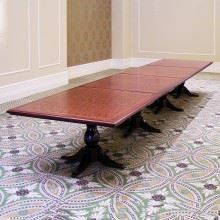 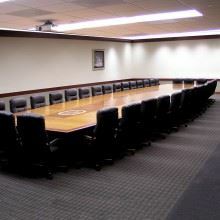 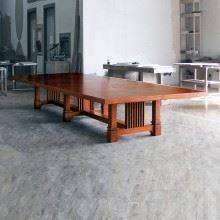 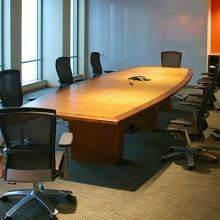 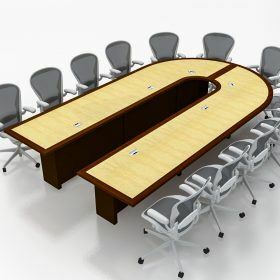 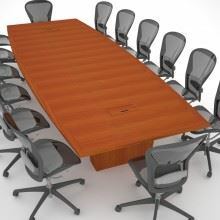 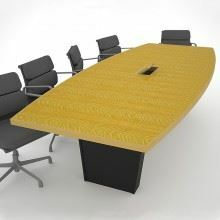 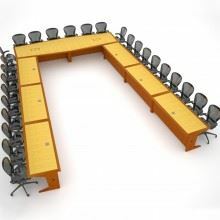 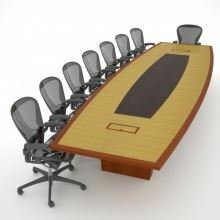 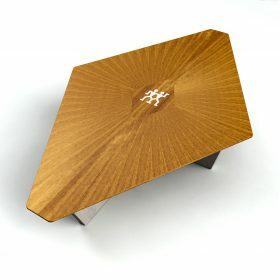 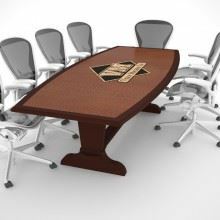 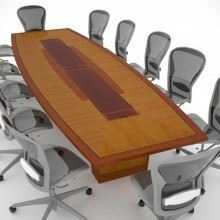 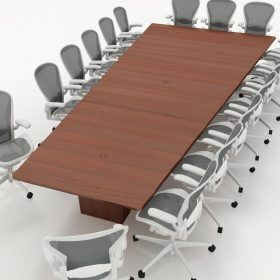 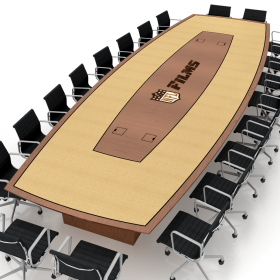 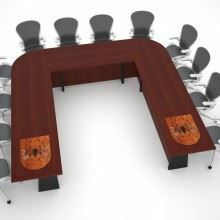 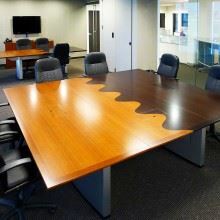 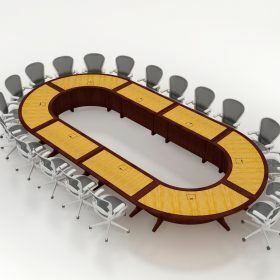 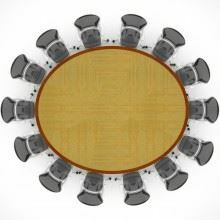 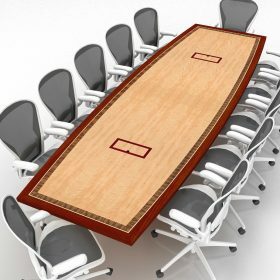 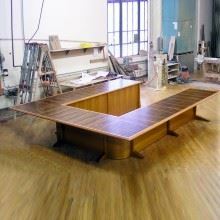 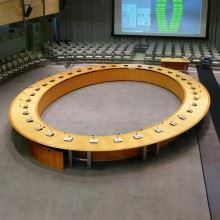 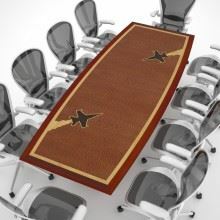 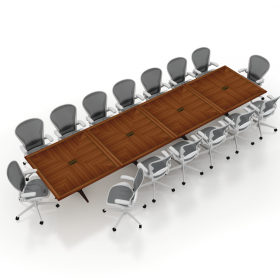 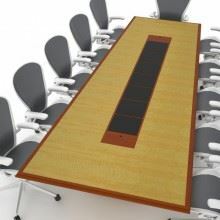 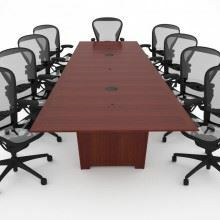 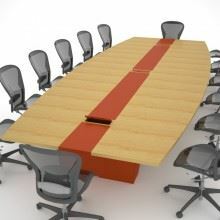 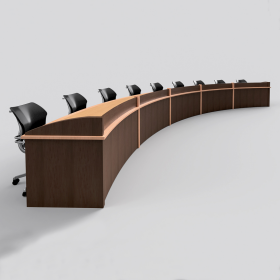 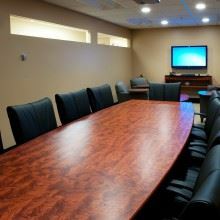 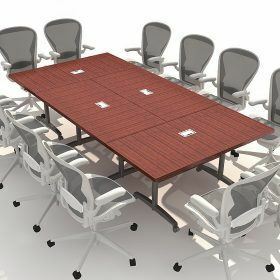 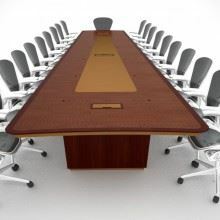 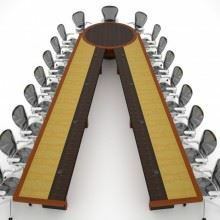 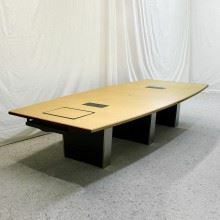 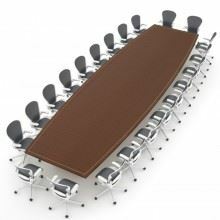 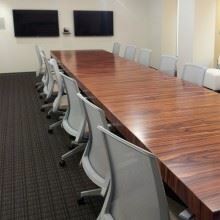 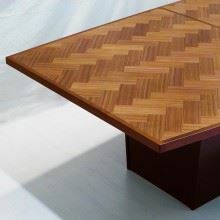 From traditional shapes to something more modern, we can customize your conference table to make it ideal. 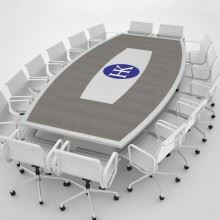 Talk to us today about other features, like company logo inlays and power & data components.